The current user doesn’t have a sufficient privilege to open Visual Studio. Right click on VS and select Run as Administrator. Right Click on Visual Studio> Open File Location. Right Click on Visual Studio Shortcut > Select Troubleshoot compatibility. Check The program requires additional permissions. Click on Test the program. Wait for a moment till the program starts. Select “Yes, save these settings for this program”. Wait for resolving the issue. Make sure the final status is fixed. Right click on VS > Select Properties. 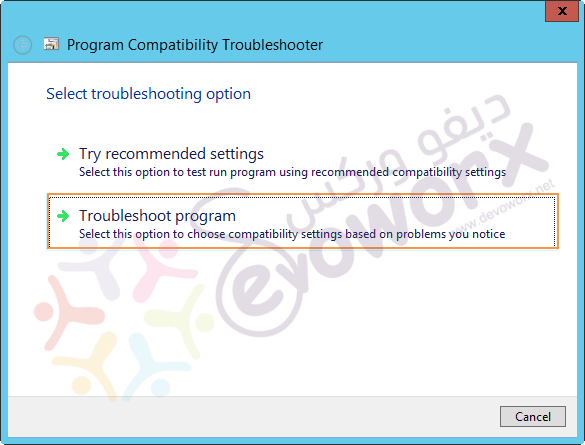 Click on Compatibility Tab > Check Run this program as an administrator. Shortcut tab > Advanced > Check Run as Administrator. The Visual Studio should now be opened properly with elevated permissions.